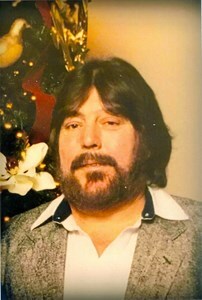 Dennis Edward Hardesty, 68, passed away on February 6, 2019. He was a Marine who served in Vietnam. Dennis was a fun, loving man that loved to make people laugh. He enjoyed being outdoors, fishing and hunting. Dennis enjoyed listening to music, especially to Donna and her family. He was a collector of many things and would never pass up a good yard sale. He was preceded in death by his parents, Herman and Georgia Hardesty and brothers, Jimmy Hardesty and Eugene Hardesty. Dennis is survived by his wife, Donna Hardesty; daughter, Kelly Hardesty Higdon (Alice); grandchildren, Alyssa (Quinton), Kayley, Braiden and Jenna; siblings, Gail (Delbert), Sherry (Eddie), Glenda (Joe), Dana (Donald), Denise, Sandy (Mark), Terry, (Gary), Karen; brothers, Mark and Joe and numerous nieces and nephews. Visitation will be Monday, February 11, 2019, at Newcomer Cremations, Funerals & Receptions, Southwest Louisville Chapel, 10304 Dixie Highway, Louisville, KY from 3pm-8pm. A celebration of Dennis's life will be Tuesday, February 12, 2019 beginning at 11am at the chapel of the funeral home. A grave side service will follow at Kentucky Veterans Cemetery-Central, 2501 N. Dixie Blvd., Radcliff, KY beginning at 12:30pm. To leave a special memory of Dennis for the family, please select the "Share Memories" tab above. Add your memories to the guest book of Dennis Hardesty. Just seen this about Eddie. We used to play pool at the old Martins Village Inn at Dixie and Pendelton. Rest in Peace old friend. To my dear cousins. We're so sorry to hear of the passing of your brother. You all are in my prayers and thoughts. God Bless and be with you all. Dear cousins,Donna/family sorry for the loss of your husband ,brother and father. I only met Dennis a couple times. He was very nice and I remember he had a nice smile. I know he will be missed but he is with the Lord in a glorious place free of pain. My thoughts and prayers are with Donna and his family. Our loved ones live on in our hearts and memories. With love, Carol. There are no words to help heal from loosing Eddie.Hope you know I always carry you all in my heart and will keep you in my prayers. Donna, Our love and prayers are with you. We will miss Dennis! So sorry Donna, I"m here if you need anything at all.